These were the top six phones back in September. Only four make the cut this time. A lot has changed since I last compared smartphones back in September. Back then, the top six smartphones were the Apple iPhone 5, LG Intuition 4G, LG Optimus G, Samsung Galaxy Note 2, Samsung Galaxy S III and the Sony Xperia V. Surprisingly, four of these phones retained their place on the list of finalists, but they were joined by four new phones which were introduced earlier this month. To create the list of candidates for smartphone of the year, I made a spreadsheet containing the specs for the best smartphones on all platforms. I then separated the chart into finalists and runners-up – which you can see below. In case you’re wondering why none of the phones above made the list of finalists, each of these have a deficit in one or more areas. I want to stress that many of the above phones are good phones. Some, like the Huawei Ascend D1 Quad XL, LG Intuition 4G, Motorola Droid RAZR MAXX HD, Nokia Lumia 920, Sony Xperia T, Sony Xperia V, and Samsung Galaxy Nexus are great phones, but they are not the best phones of 2012. Each of eight phones below have significant advantages over the phones in the above chart. Our finalists are Apple’s iPhone 5, HTC’s Droid DNA, HTC’s Windows Phone 8X, HTC’s One X+, LG’s Nexus 4, LG’s Optimus G, Samsung’s Galaxy Note 2 and the Samsung Galaxy S III. You can see all of the key specs for the top eight finalists below. 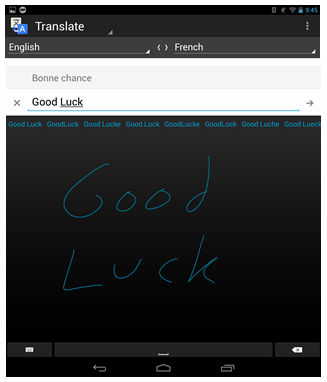 Items which appear as blue-faced text show the winner in each area. 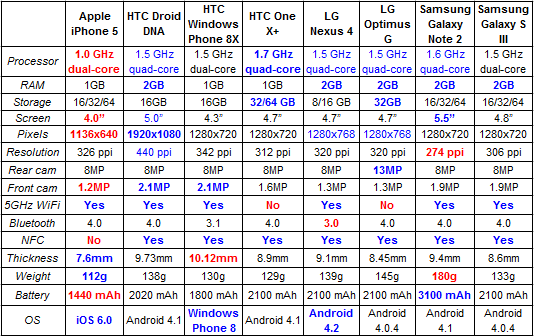 Items which appear in red-faced text indicate an area of weakness compared to the other phones in this chart. Before we try to pick a winner, let’s go through each component, starting with the processor. The processor is like the engine in your car and plays an important role in its speed. Today, most of the best smartphones have quad-core processors running at 1.5GHz or higher. Having four different cores allows your phone to do more things at once without slowing down. Quad-core processors are also more efficient and have better battery life than some dual-core CPUs. 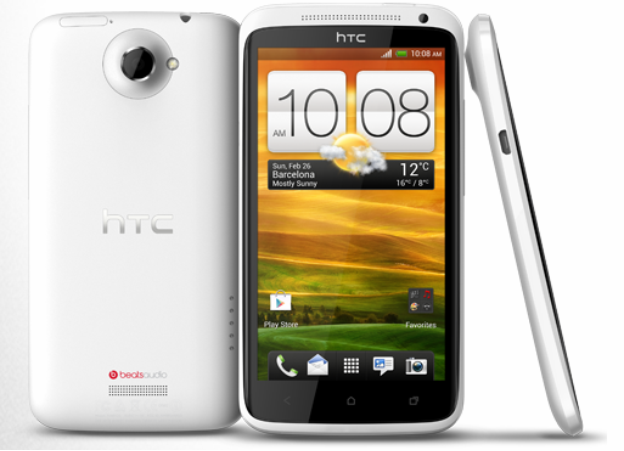 When it comes to the fastest processor speed, the HTC One X+ wins, with its overclocked 1.7GHz quad-core processor, However, it’s running a year old Tegra 3 processor while the Droid DNA, Nexus 4 and LG Optimus G are running a more advanced Snapdragon S4 Pro processor. The Exynos 4412 processor in the Galaxy Note 2 is also overclocked to 1.6GHz and comes close to the S4 Pro in performance. It’s worth mentioning while the S4 Pro-based phones win when it comes to processor, the Galaxy Note 2 and HTC One X+ also perform very well. Apple is clearly behind when it comes to the CPU alone. It has a much slower processor speed and it’s a dual-core processor, instead of quad-core processor. Although the iPhone 5 has a processor clock speed that is 70% slower than the HTC One X+, it does pretty well in some graphics-related benchmarks. You shouldn’t read too much into mobile benchmarks however, because they rarely translate into real-world performance. Both the Samsung phones and the iPhone 5 are available in 16, 32 or 64GB sizes. Five of our finalists have 2GB of RAM, which can speed things up when multiple apps are running. But, only the Windows Phone 8X, Galaxy Note 2, and Galaxy S III can have their memory expanded because they have a memory card slot. 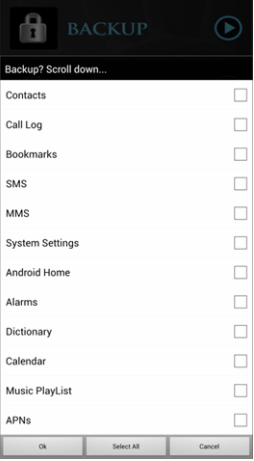 Although this category is close, the LG Optimus G wins because it is the only phone here that starts with 32GB of memory and has 2GB of RAM. 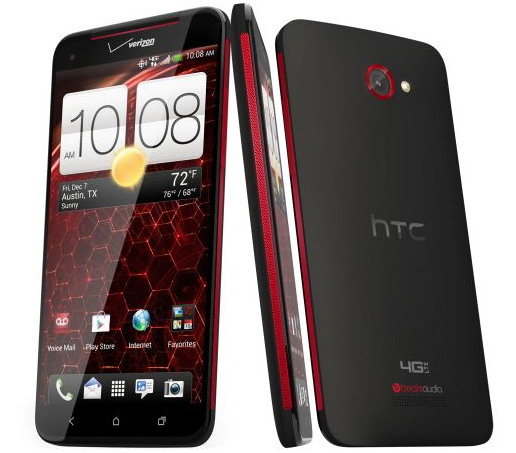 When it comes to overall specs, the 5.0″ inch screen in the HTC Droid DNA is second to none. This screen is an inch bigger than the iPhone 5’s, but easier to hold than the Galaxy Note 2, because it’s not as wide (70.5mm vs. 80.5mm). 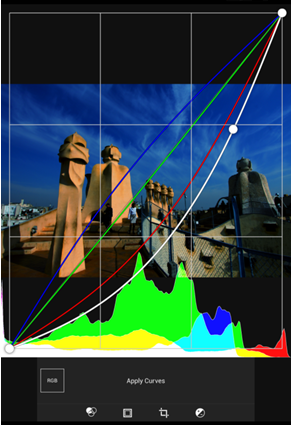 The Droid DNA easily beats the iPhone 5 in both total pixels (1920×1080 vs. 1136×640)) and resolution (441 PPI vs. 326 PPI). However, the iPhone 5 does have a high-quality screen which does well in areas like color accuracy and brightness, but it get beat by the Galaxy S III in areas like color gamut. 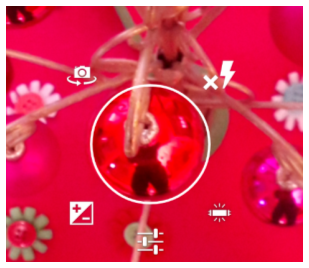 Color gamut is the range of color a display can reproduce. IHS says the iPhone 5′s display only reaches 72% of the NTSC color gamut, while the SIII sits at 100%. 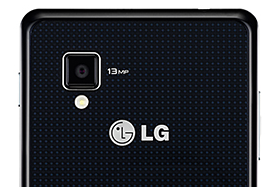 When it comes to megapixels, the current leader is the LG Optimus G which has a 13-megapixel camera. Although all of the other phones here have 8 megapixel cameras, the cameras in the Apple iPhone 5, HTC One X+ and Samsung Galaxy S III are quite good, but each have issues. 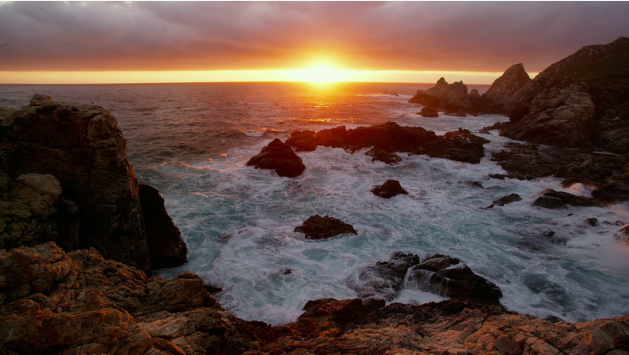 For example, the camera in the iPhone 5 has issues with noise in low light situations and over-sharpening which adds distortion. The Galaxy S III beats it in both of these areas. The camera in the iPhone 5 often beats the others when it comes to color accuracy in good light. When it comes to front cameras, the iPhone 5 and Nexus 4 are the worst performers here. When it comes to connectivity, every phone here has 4G LTE support, although the Nexus 4 only supports this feature in some areas. When it comes to Wi-Fi support, every phone here but the HTC One X+ and LG Optimus G support dual-band 2.4GHz/5.0GHz Wi-Fi. The 5GHz band is not near as susceptible to interference from cordless telephones, microwave ovens, baby monitors, Bluetooth devices and wireless keyboards. It’s also a much less crowded band which should be used when possible. Every phone here except the iPhone 5 has support for Near Field Communications or NFC. NFC allows two devices to communicate when they’re moved close together. 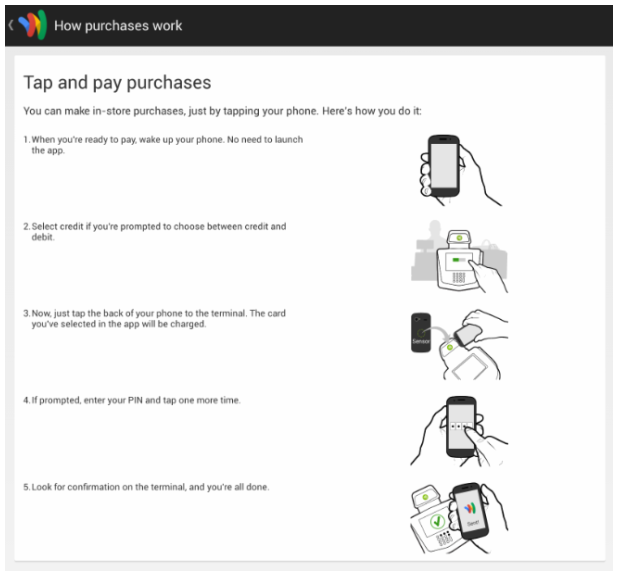 This allows you to buy things at over 300,000 MasterCard PayPass-enabled terminals as well as beam, music, photos, web pages, contacts, maps, YouTube videos and more, from one phone to another. NFC is a very important feature which will one-day change the way we shop and transfer data from phone to phone. 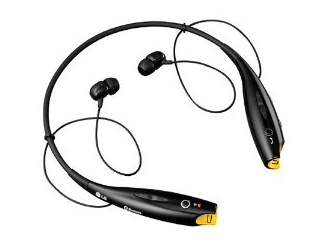 Winners: Tie: HTC Droid DNA, Windows Phone 8X, Samsung Galaxy Note 2, Samsung Galaxy S III. When it comes to the case, the iPhone 5 does well. It’s thinner and lighter than all of the other finalists here and constructed entirely out of aluminum and glass. 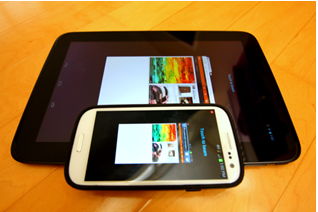 When it comes to the battery, the Samsung Galaxy Note 2 easily wins. Its battery has over twice as much power as the battery in the iPhone 5. 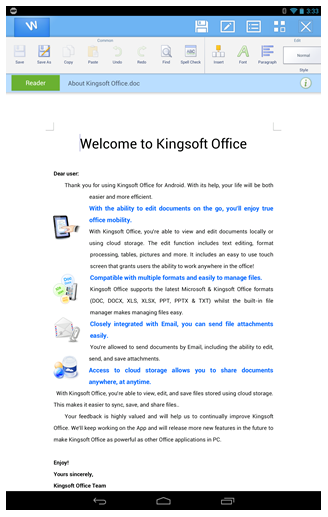 When it comes to the operating system, you can make strong arguments for iOS 6, Android 4.2 and Windows Phone 8. You can read more about how Android and iOS compare in my other blog posts. 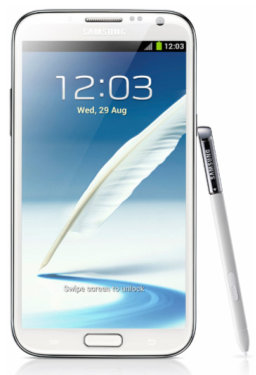 Back in September, the best smartphone award went to the Samsung Galaxy Note 2. This time around it’s not so easy to pick a winner. Best is a subjective term. What I’m really talking about is the smartphone with the best overall hardware specs. Based on that definition, neither the iPhone 5 or Samsung Galaxy S III can be considered the “phone of the year.” Both are great phones, and both are extremely popular, but they are not the best phones available today. So what is the gold medal winner? For me, it’s a toss-up between the Droid DNA, LG Nexus 4 and LG Optimus G. The Droid DNA wins when it comes to the display. The Optimus G wins on paper when it comes to storage and its 13MP camera — however not all reviewers love its camera. And last, but not least, the Nexus 4 is the only phone here which runs Android 4.2 and has a new-gen quad-core processor — however you shouldn’t buy it if you live in the U.S and LTE support is essential to you. What About the iPhone 5? 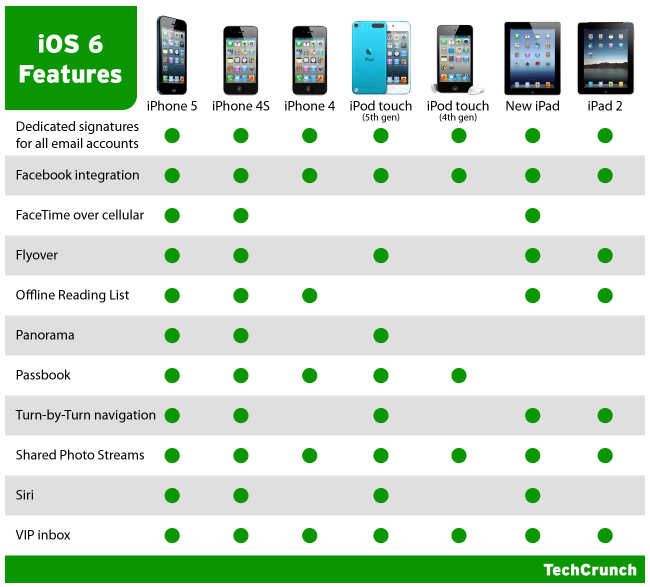 Some of you are probably wondering why the iPhone 5 wasn’t a more serious contender because it’s so popular. As you can see above, the iPhone 5 lags is almost every area. It just can’t compete with phones like the Droid DNA, or even the Samsung Galaxy S III, which is much older. I’m not the only one who feels this way. Consumer Reports recently said the iPhone 5 is the worst of the top smartphones. They ranked it below the LG Optimus G and Samsung Galaxy Note II, as well as older phones like the Droid RAZR MAXX, Droid RAZR HD, Samsung Galaxy S III and HTC One S. You can read more about this when their February issue hits the newstands and Internet. In the end, your definition of the perfect phone depends on what’s most important to you. This article should help you narrow down your options to only a few phones. Since most of us are on two-year contracts with a carrier, you need to determine which of the phones you are intereted in are carried by your carrier. I suggest you then read the full reviews for each phone you are considering. Finally, it’s essential that you go to a retail store and actually try the phone before you buy it. Happy shopping! Is the Nexus 10 Good Enough to Replace an iPad 3? This article has had almost 20,000 views! Thanks for reading it. It’s been several months since my Nexus 10 arrived, so it’s time for an update on my attempt to replace an iPad 3 with it. Was the lack of good tablet apps as big of a problem as everyone said it would be? And what about the superior build-quality of the iPad? Was the Nexus 10 lacking in this area? Read on to learn the answer to these and many more questions. Since most of my previous columns about the Nexus 10 have stressed its benefits, I’ll get right to my gripes about it. Here are the things that bothered me the most about the Nexus 10 after the first four weeks of use. 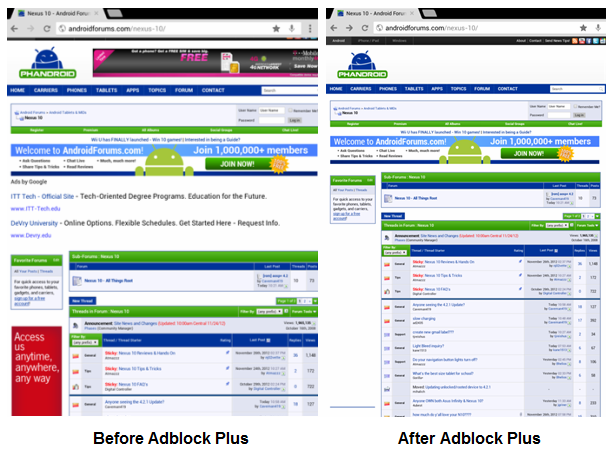 You can see an example of a good tablet interface on the left and a bad one on the right. Limited number of great tablet apps – The number one complaint from reviewers about the Nexus 10 is the lack of great tablet apps. Although it’s true there are more good tablet apps for the iPad, I was surprised this wasn’t more of a problem for me. 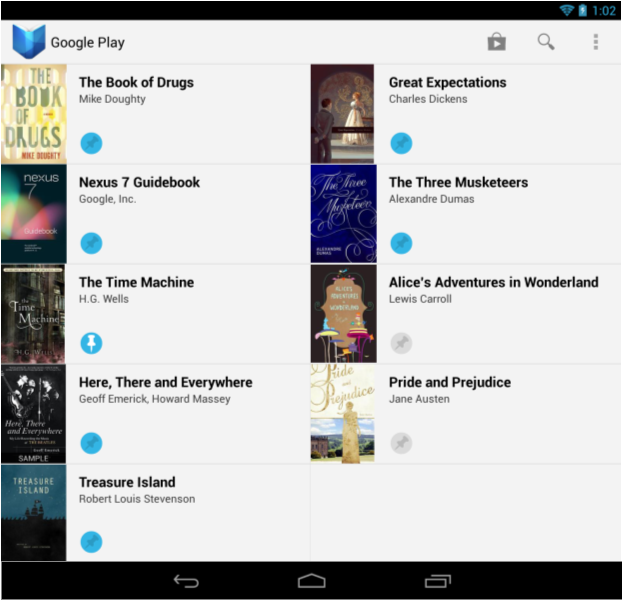 Many of my favorite Android smartphone apps ran fine on the Nexus 10. In some cases I did need to replace apps, but I didn’t have much of a problem finding suitable replacements. There were two reasons why I needed to replace apps. 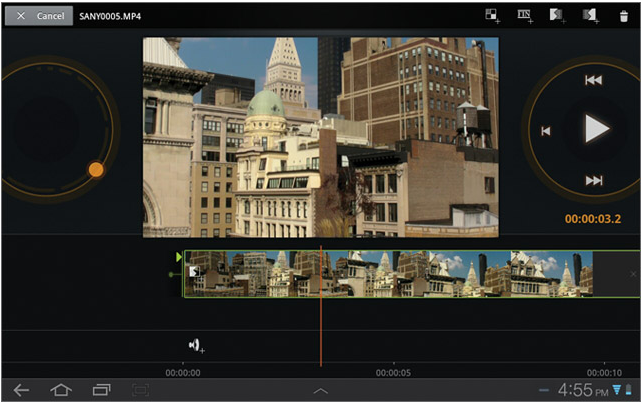 The first was the fact that some apps have controls which are too small to accurately touch on the Nexus 10. A bigger problem for me was the fact that some of my favorite Android apps couldn’t be downloaded on the Nexus 10. Examples include Zite, USA Today and Flickr. I suspect this is because the companies are working on tablet-optimized apps and are not allowing downloads to tablets because they don’t want to get bad reviews. Now that there are finally a few good selling Android tablets, I suspect we’ll see app makers put more emphasis on creating good tablet apps. 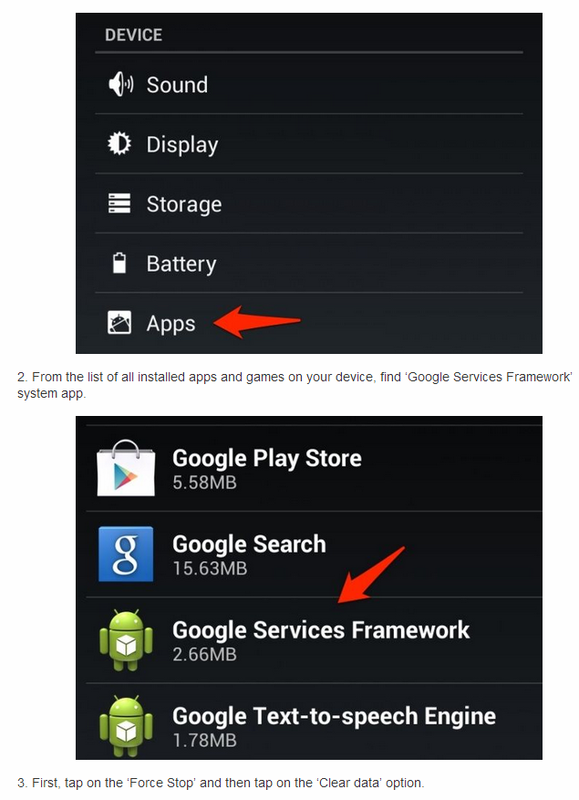 I’ve included a list of some Google-recommended tablet-optimized apps here in Tip #4. It’s worth pointing out that not all popular apps are available in tablet versions for the iPad either. 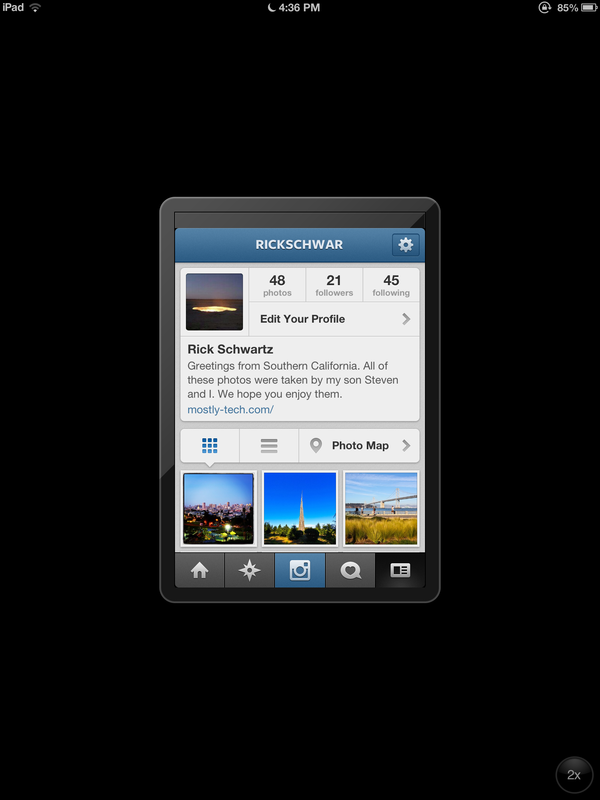 For example, Instagram looks much better on the Nexus 10 than it does on the iPad. That’s because it only occupies a small portion of the iPad’s screen. Sure you can blow it up 2x but the text looks distorted and ugly. Update: After a month this is no longer a serious problem. 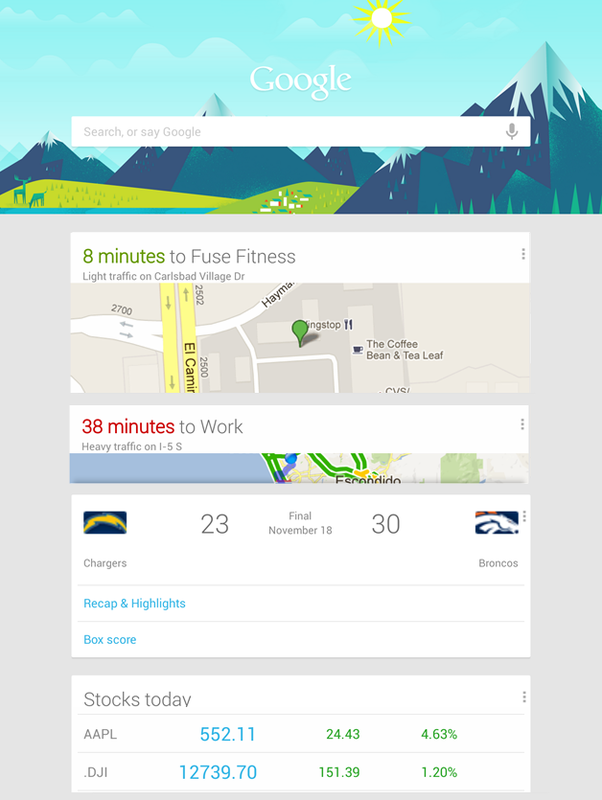 Every day I find new tablet-optimized apps that look great on the Nexus 10. 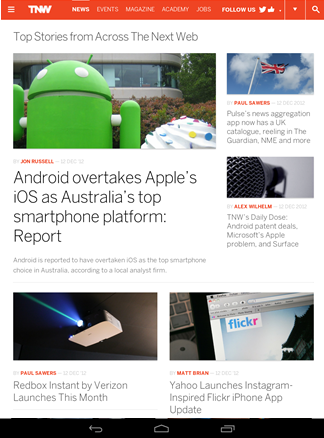 Just today a tablet-optimized version of Flipboard finally became available. Android 4.2 bugs – Although the stories about Android 4.2’s bugs have been overblown, there is no doubt that iOS 6.0.1 is a more stable, less buggy operating system. 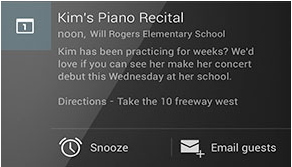 Most of the current Android 4.2 bugs are things you won’t experience unless you stream music over Bluetooth, use the lock-screen music widgets, or enable auto-brightness. There is also the well-documented issue which occurs when you try to add an event that occurs in the month of December in the People app. As far as the random crash issues go, I still experience a few a week, so Google does have some work to do in this area. 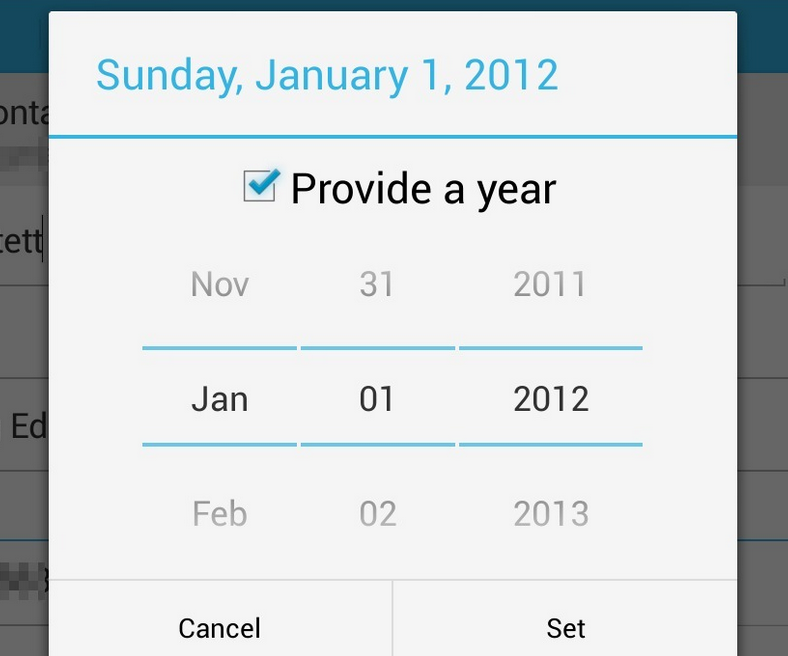 UPDATE 11/27: Google pushed out an Android 4.2.1 update today which addressed the missing December issue. UPDATE 1/15: A Google employee confirms the next Android update will contain a fix for the Bluetooth issue. Issues rearranging apps and creating folders – Early versions of Android were far superior to iOS when it came to moving apps from screen to screen without rearranging other apps. I’m having problems with this on the Nexus 10 now. A more serious issue is the fact it’s sometimes hard to get an app to go into a folder you drag to. Sometimes the folder moves, other times it won’t work the first time, but if you keep trying you can always get it to go into the folder. This is strange and annoying. Disappearing magazines – One of my biggest Nexus 10 gripes so far is the problem I’m having not being able to view some of the free magazines that Google provided. I get a ‘Fetching latest…’ message when I try to open a magazine that never goes away. This occurs on magazines I’ve viewed without problems before. This may have to do with the fact I downloaded these to my tablet. The only way I’ve been able to fix this so far is to go to Settings/Apps and swipe to the left until I see the ‘All’ heading and then scroll down to Google Play Magazines and touch the ‘Clear data’ button and redownload the magazine again. Playback issues with ultra HD video on some apps – I’m having problems trying to watch ultra high-definition (2560*1440) movies using MX Player. The video appears to pause every few seconds now, when it used to work fine on the same software. The same video plays perfectly on the MoboPlayer app so this could be a software-only issue. Text editing problems in the browser – It’s much more difficult to edit text in a Nexus 10’s browser, than it is to do the same with an iPad 3. There are several reasons for this: The first is the fact it’s harder to insert the cursor precisely in browsers like Chrome. The second is the fact it’s harder to accurately cut and paste text on the Nexus 10 than the iPad. 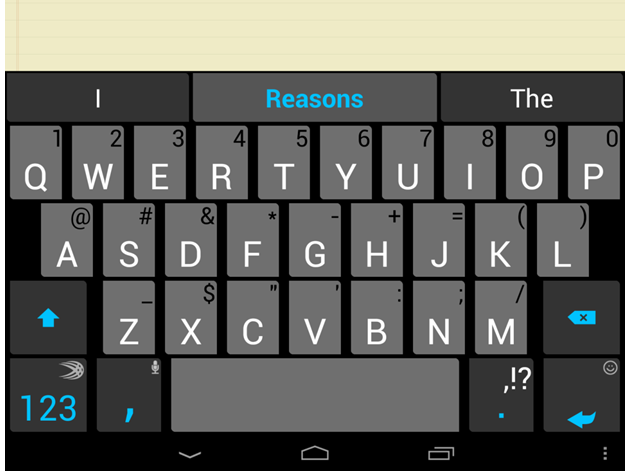 The third, is the fact the Nexus screen sometimes automatically zooms in or repositions itself when you touch the screen or hit the backspace key. It blows my mind that no one at Google has tried to use the Nexus 10 for this purpose because it’s so bad. Editing text in Firefox is even worse than in Chrome. I couldn’t get copy and paste to work reliably in Firefox at all. Two caveats: these are Android-related issues and not Nexus 10 flaws, and furthermore, HTML editing is something I do a lot, but not something a typical consumer does often. Update: I’ve figured out what is happening here. Google and browser software makers have implemented logic to try guess when you’re having a hard time touching a button or control. 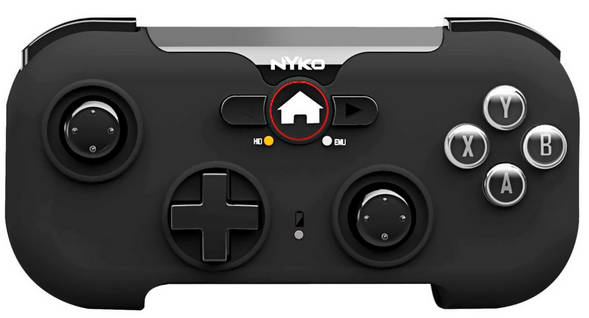 When they detect this, they zoom in around the area to make sure you touch the right thing. This is nice for typical users, but can cause problems when editing HTML. 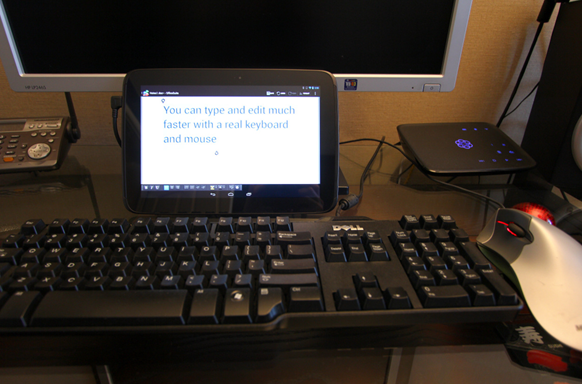 I must have adapted, because I’m now doing almost all of my HTML editing on the Nexus 10 instead of the iPad. Screen-related issues – The screen on the Nexus 10 does not have blacks that are as dark as Samsung’s Super Amoled displays. There is also some light leakage in both of the bottom corners. This may only be visible when you are in a dark room and the screen is black, but I wanted to point it out. Some additional leakage is present on each side, but it’s less obvious. 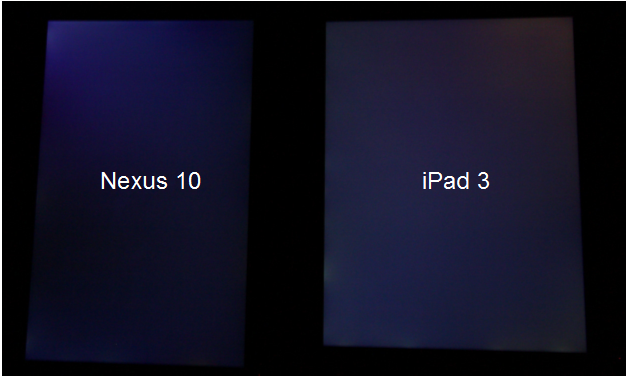 As you can see from the photo above, the iPad 3 has backlight leakage that is worse to the Nexus 10. Even with its backlight issues, the iPad 3 and 4 still have a few advantages over the Nexus 10’s display. 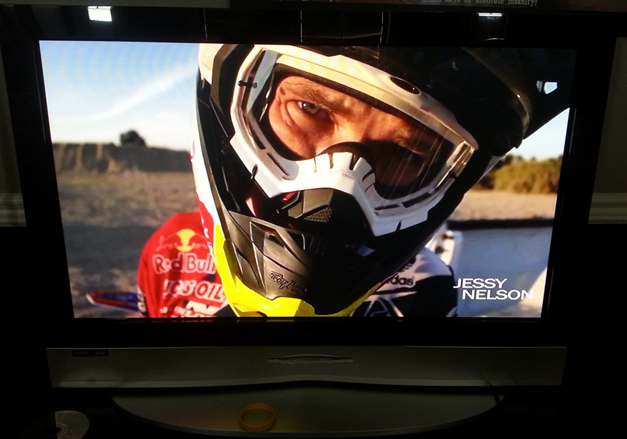 They have higher contrast, more brightness and better overall color accuracy then the panel in the Nexus 10. That’s not saying the display on the Nexus 10 isn’t great. 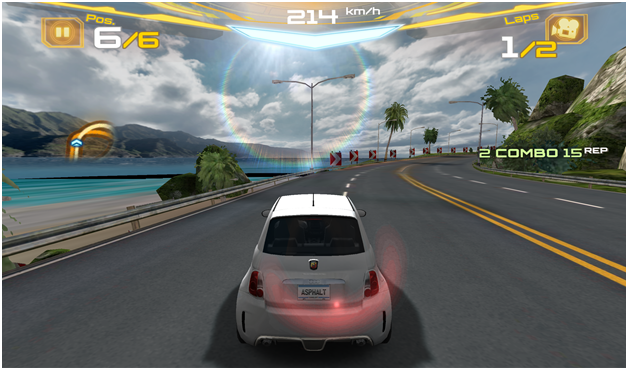 It will blow your mind when you play a game like “Asphalt 7” or watch an ultra HD movie on it. It’s also noticeably sharper when it viewing small fonts on websites. Mediocre rear camera – Although the front camera on the Nexus 10 is only 2MB, it looks much better than the camera on the iPad 3. This is probably because the iPad 3 only has a 0.3 MP camera. The rear-facing camera on the Nexus 10 is not great, but neither is the one on the iPad 3. Plastic back cover – Although I love the lightness of the Nexus 10 and the way it feels when you hold it, occasionally when you hold its case a certain way, you’ll feel the back move a little. I mainly notice this is when I’m polishing the screen using my shirt. Is this a really big deal? Not for me, but it could have been avoided with a better design. Wi-Fi range issues – Google claims the Nexus 10 has MIMO Wi-Fi — but its antenna is less sensitive than the one in the iPad. 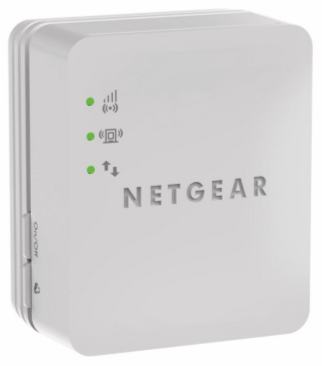 You’ll see this on the Wi-Fi signal strength meter, and you’ll notice a difference in performance when you have a low signal. This isn’t a major problem, but it is a little annoying in light of Google’s bold claims in this area. 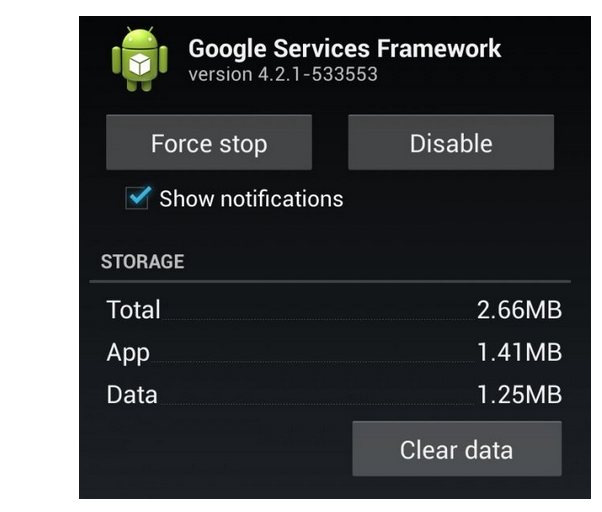 Google Play screen update problems – This is a minor issue but I once experienced problems with the screen flashing when I was downloading updates in the Google Play store. This also appears to be an Android 4.2 issue and probably has nothing to do with the Nexus 10. Auto-brightness problems – Android 4.2 has an auto-brightness setting, but it doesn’t work well because it’s possible for your finger to occasionally block the light sensor when you hold the tablet in Portrait mode. 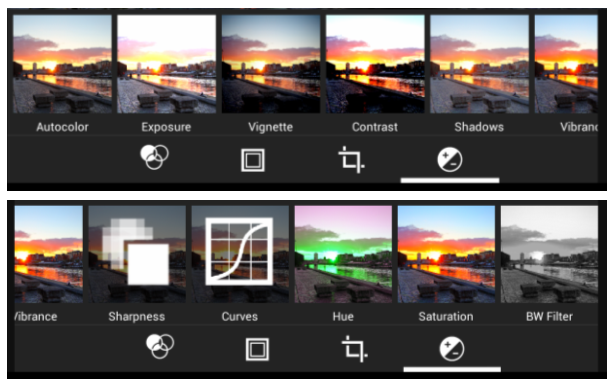 To address this issue you can download Lux Auto Brightness. Lux adjusts the brightness of your display based on your environment. When you go into a dark room, Lux will automatically lower the brightness of your display after you unlock your screen. 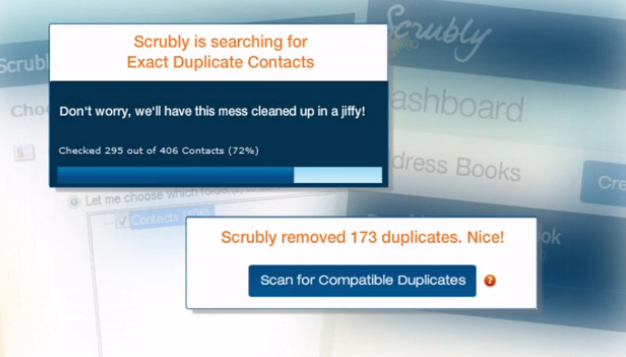 This approach seems to work better than the dynamic approach that Google uses by default. Slow charging – Slow charging with the stock charger is a problem, but this was only a issue for me on my first day of use. After that, I charged the tablet at night and did not have a problem getting through most days. When I use the Nexus 10 more than normal, I charge it for an hour around lunch and that gets me through the day. 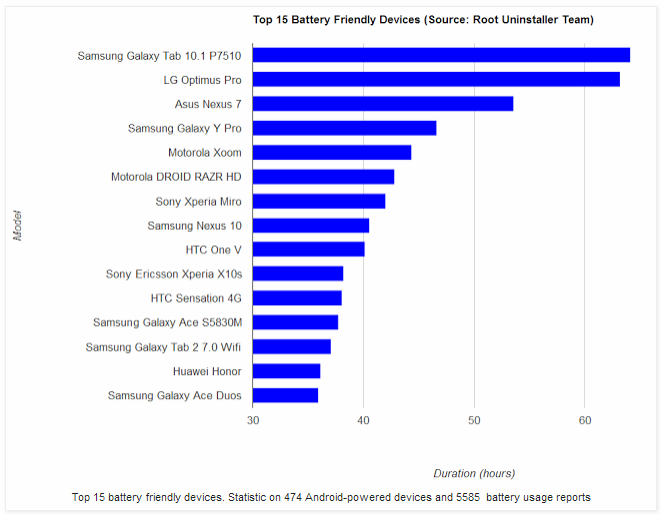 Although there has been a lot of talk about battery life on the Nexus 10, you can see from the chart above it is actually one the top battery-friendly Android devices. If you’re thinking some of these problems are pretty lame, you’re correct. 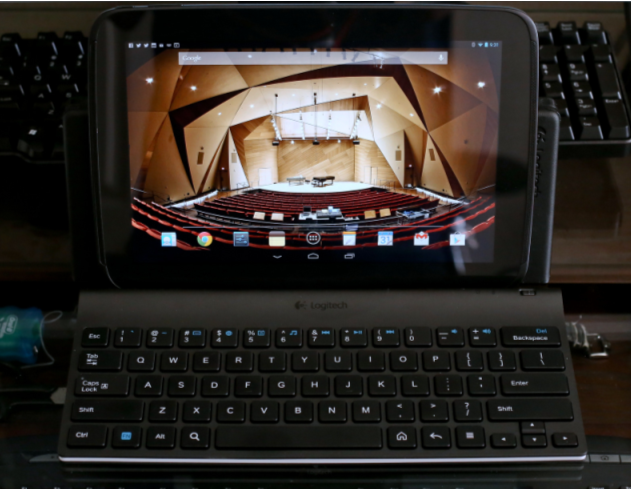 It’s not easy to find too many things wrong with the Nexus 10’s hardware. Things like backlight leakage are also a problem on the iPad 3 and iPad 4. Most of the serious Nexus 10 issues are software-related, and should be fixed at some point. The claims about Apple’s superior app ecosystem are overblown. I don’t miss any of the iPad apps I was running before. Not a single one. 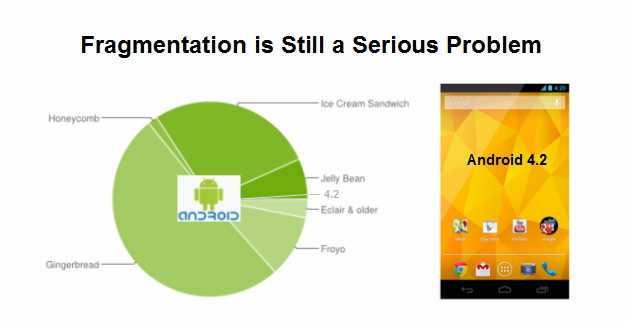 That doesn’t mean all of the Android apps are at parity, because they are not. But the differences are small enough now that they don’t bother me. 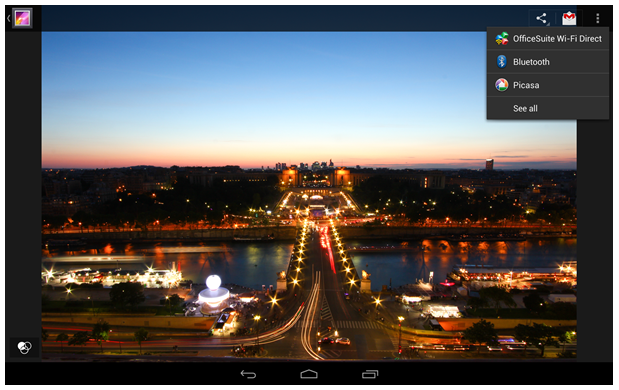 Since the Nexus 10 launched the number of good tablet apps has increased dramatically. My problems with the Nexus 10 crashing have sadly increased, but they are not a serious problem yet. Sometimes it will crash twice in a day and then go days without another crash. There is a lot of speculation over the cause of this. Some people think it’s caused by the Chrome browser. Others think the problem goes away when the GPS is disabled. I’ve noticed that many of my crashes occur when I’m using the Chrome browser and Wi-Fi signal strength is low or the tablet is downloading updates. I also suspect that moving wallpapers might be a contributing factor. This hasn’t become a major annoyance for me yet, because I’m confident Google will fix this soon. Update: Since I installed Android 4.2.2, my crash problems seem to have gone away. Most of the display gripes about the Nexus 10 are overblown. The back light bleed is not a problem for me, but I would like darker blacks. That is my number one screen gripe. Color accuracy on the Nexus 10 isn’t great, but that hasn’t been a problem for me. Nor have non-HD desktop icons. 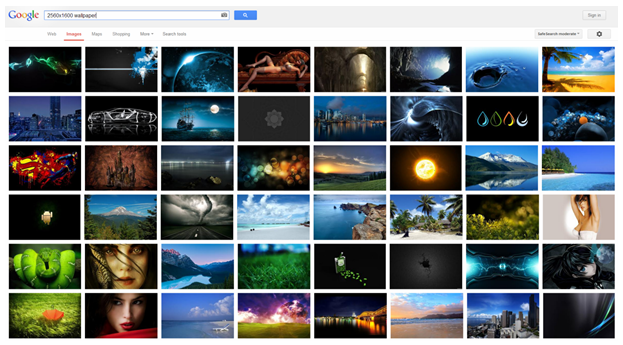 I do feel the lack of great HD wallpapers is a problem, but likely one that won’t last long. Screen brightness has also not been a problem for me. 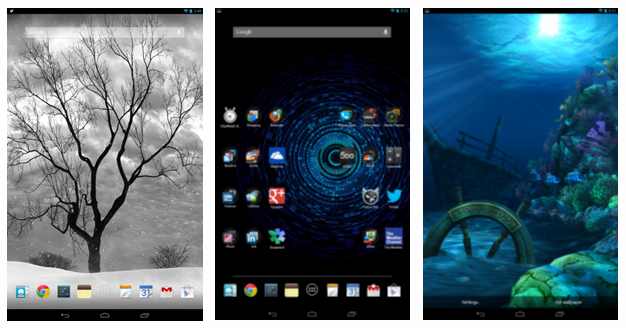 Although its not perfect, I love the display on the Nexus 10. To my eyes it’s much crisper than the iPad 3 and that’s what I care about the most. The build quality of the Nexus 10 is fine. I’ll take the lightness over the iPad any day. My only gripe is the fact that the section on the back does not stay in as snugly as I would like. One new problem I’m a little concerned about is the heat from the main chip. This was initially only a problem when gaming, but now I notice it when I’m scrolling on site like Facebook for long periods. The Nexus 10 absolutely kills the iPad 3 and 4 when it comes to features. The Nexus 10 is a much better value than the iPad 4. Its hardware beats the iPad 4 in almost every area and costs $100 less. I want access to all of the newest technologies. The Nexus 10 has features like NFC and multi-user support, which iPad users could be waiting years to get. Not only is Apple behind, they have a history of preventing their users from accessing their new features. Even though the iPad 2 is capable of running Siri and Panorama, Apple forces iPad 2 owners to buy newer hardware in order to run those features. That just isn’t right. Speed is important to me and the Nexus 10 is faster than the iPad 3. After using my Nexus almost 100% of the time for several months the iPad is noticeably slower on things like scrolling Facebook in the browser. Lastly, I want the same experience on my phone and tablet. Now that I’ve switched from iPhone to an Android smartphones, it only makes sense that I use an Android tablet. 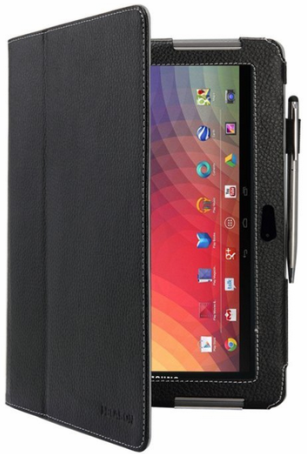 Could I replace my iPad 3 with the Nexus 10? My transition from an iPad 3 to a Nexus 10 wasn’t as easy as my transition from an iPhone to a Nexus phone. 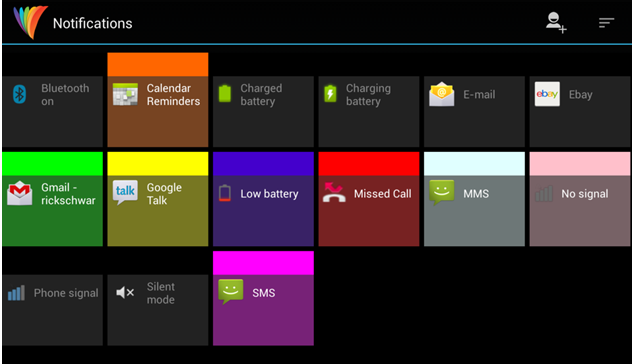 My first few days with the Nexus 10 were not great. I was getting it set up properly and finding good tablet-optimized apps. 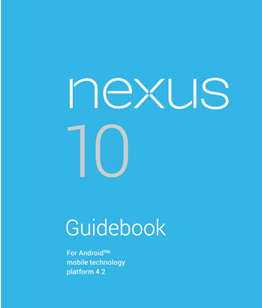 Most of my issues with the Nexus 10 were software-related, and not directly related to the Nexus 10 hardware. The Nexus 10 is not a perfect product, but it’s good enough that I’ve put my iPad 3 on the shelf and only use it for occasional HTML editing now. The surprising thing is I actually prefer using the Nexus 10 now over the iPad 3. The main reason for this is the fact the Nexus 10 is noticeably lighter than the iPad and feels much better in my hand. 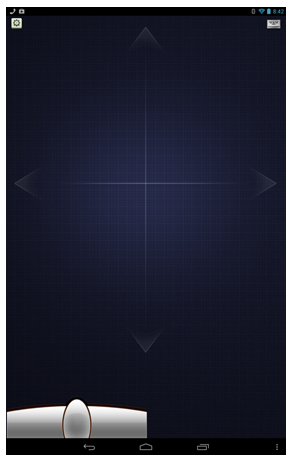 Its corners are nicely rounded and don’t dig into my palm the way the iPad 3 does. This is a big deal when you hold your tablet for long periods with one hand like I do. Another reason I prefer the Nexus over the iPad is the display. The crispness of text on the Nexus 10’s display is second to none. The bottom line is the Nexus 10 is a great tablet, which holds its own against the best tablets. This says a lot, because the iPad 4 running iOS 6 is a very good product. But for me, the Nexus 10 is even better. Final update 2/26: My crash problems seem to have been fixed by Android 4.2.2. I no longer use my iPad for a single thing. It sits on my floor lonely and unused, so I’ve decided to give it to my Dad on Fathers Day. 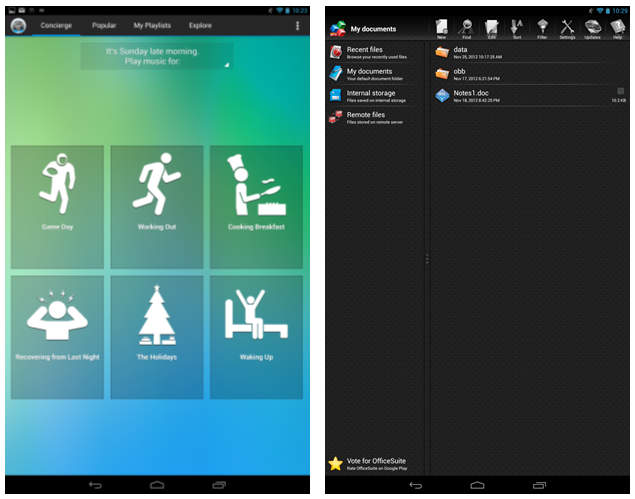 In the past few months there have been a large number of good Android tablet apps which have been released. 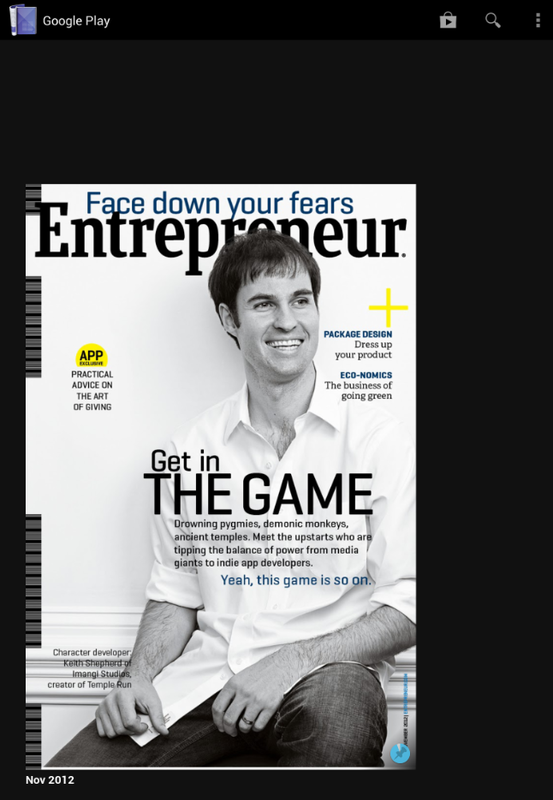 It’s now at the point where I can’t think of a single iPad app that I still miss — except maybe Zite which runs on my GS3. It’s true the iPad has more tablet-optimized apps, but some popular apps still appear like this. 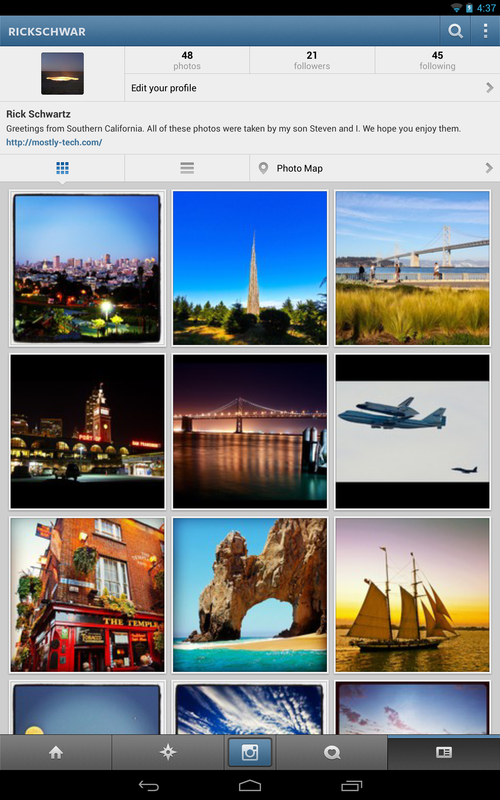 Here is how Instagram looks on the Nexus 10. Which would you rather use?